We have found it important to have our own website for our vacation rentals. Over the last 3 years, 12% of our rental income at Sunset Beach Bliss has come through our website, and 8% at Beech Mountain Bliss. Search for "beech mountain condo" on Bing or Yahoo, and our website currently comes up #1. On Google we're #4. It is an important part of our Vacation Rental advertising. We drive traffic to our website in a number of ways. When we first started with Vacation Rental By Owner we didn't have our own website. So the URL we used was our VRBO listing. Fortunately VRBO hasn't gone out of business or changed the URL of our listing, and that link is still valid. However, prospects visiting VRBO are quite likely to see other properties in the same area on the site. Now that we have our own website we can control the message to our visitors. 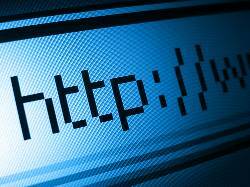 If you want to get your own URL then are 3 options with varying costs and benefits. I'll go into more detail below. This is the simplest approach. Many domain registrars offer a service called "Domain Forwarding". Using this you could setup your URL (e.g. www.beechmountainbliss.com) to redirect traffic to your VRBO listing (e.g. www.vrbo.com/107183). We have our domain names registered with GoDaddy and have been happy with their service. We pay $10/year for each domain name, and domain forwarding is a free service. Pros - This approach is cheap, reserves your preferred domain name, and lets you use begin to use this name in online and offline advertising. It also gives you the flexibility to change the domain forwarding to another listing. And lastly, if and when you do decide to setup a website you already have the name reserved, and included in your various advertising. Cons - you don't have your own website and you're still sending traffic to a listing site which has many other properties in your area. If someone bookmarks in their browser, they will save the listing URL and not your domain name. There are several services who offer to build and host a vacation rental website for you. Since we went the "build it yourself" route, I don't have any personal experience with these services. Typical prices seem to be in the $200-$400 range, and hosting $5-$10 per month. If you've never built a website yourself, then these are a good way to go. The annual cost will probably be less than you'll pay a Vacation Rental portal for a listing. Pros - Simple and Professional looking. Features like Availability Calendars are not straightforward, so it makes sense for a lot of people to outsource this. Search Engine Optimization (SEO) is also important, and many services will include this. Cons - Can get expensive if you want a very custom website. The approach we've taken is to build our own vacation rental website. We've done this leveraging features of the Free version of Google Apps. Specifically we use Google Sites, Google Calendar and Picasaweb. We've found it fairly easy to maintain. I plan to post more about the specifics of how we've done this. Pros - Cost. We pay $10/year for each of our domains, and that's it. Flexibility. We can put up extra pages, adjust the layout, change details, at any time without any additional expense. Cons - If you don't enjoy building websites, then strongly consider one of the other options above. Can be time consuming, require that you understand SEO, and may not look as good as a professionally designed site. Building our own vacation rental websites was the right choice for us. And we're happy with the results. But whichever approach you take, we recommend getting a website. Also see 5 Reasons You Need to Create a Personal Website Today.